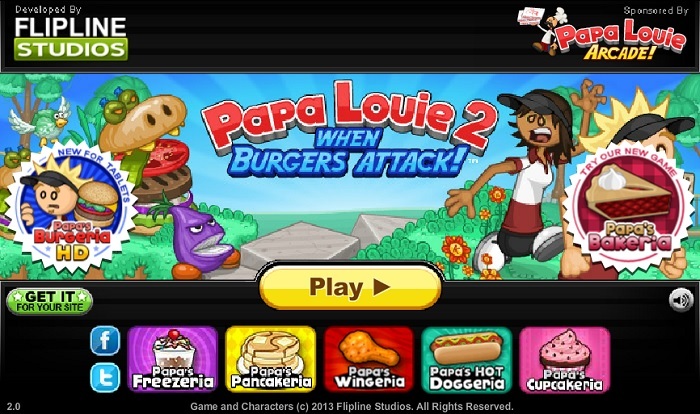 Are you ready to save Papa Louie again from the clutches of the enemies? 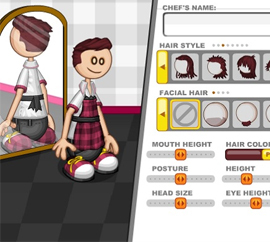 In the Papa Louie 2 online game, Papa Louie was happily serving burgers when a mysterious person walks in and warps everyone. The theme of the game remains the same, which is food! It comprises of several badges and brightly colored levels that will keep you busy. Key collector: Will let you earn 5 warp keys. Warp key roundup: Earn 10 warp keys. Jailbreak: You can unlock 5 customers. Full Roster: You can unlock all of the customers. 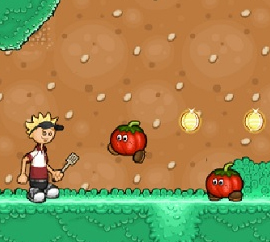 Onion Ringer: You will be able to defeat 150 onion enemies. Slip and Slide: Can defeat 100 enemies by sliding down the hills. Change of clothes: Buy 10 new outfits. Use the Space bar to attack. Up arrow key is to climb up. To jump and glide, press the up arrow key for some time. The down arrow key is to climb down and crawl. The right and left arrow keys are for movement. Press the down arrow key while mid air to Ground Pound, which can be used to attack enemies. The up arrow key while mid-air will let you jump higher. View your progress in each challenge by checking the bottom of the gameplay screen. As you complete the challenges, you will earn warp keys. 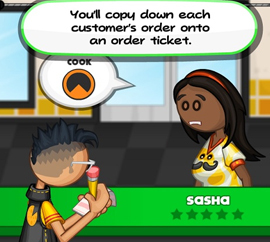 Your main challenge is to rescue several customers in each level. 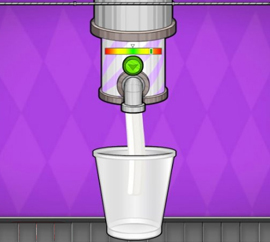 To reach other cages in a level, you will have to play as customers with certain skills. Each customer uses a unique weapon for fighting. Check the customer’s skill by clicking the character select screen. So, if you want to complete a particular challenge that requires a specific skill, then pick the customer accordingly. To unlock each new location on the map, you will require a certain number of Warp keys, so ensure that you have collected all of them. 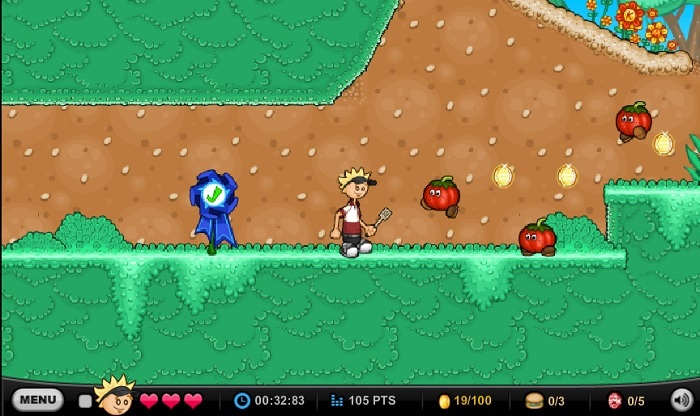 If you do not have enough Warp keys to reach the new stage of the game, you can replay one of the previous levels. This can be done by playing with other customers that you have rescued. You will come across several coins in each level, so collect as much as you can. These coins will let you buy new outfits for each of your customers. 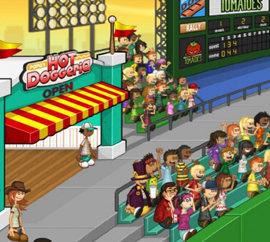 With the help of these tips you will be able to play and enjoy the game properly. 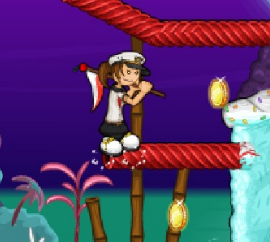 So, have fun while saving Papa Louie from the mysterious enemies.